The map is intended to show an additional package Tricolor TV "Children"
Package 8 rating TV channels for children: «Cartoon Network», «TIJI», «Gulli», «Boomerang», «Children´s world», «Kids Co», «Jam Jam», «Baby TV». Caution the card can be activated only on the equipment Mpeg4, equipment old-fashioned this package will not be able to show. After payment you will get a "secret code". Important! Card activation is possible only in the registered receiver! 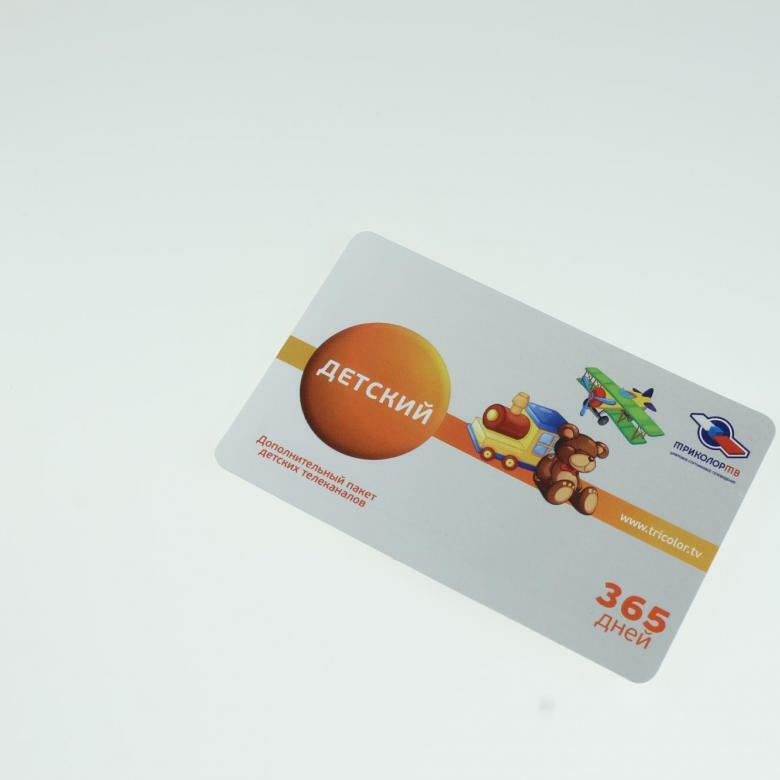 Term view additional package - 1 year from the date of activation of the Card. PS Please do not forget to leave your review. Map activation Tricolor TV. Max Package HD.